I beat the train. It should be a good day. BEFORE SCHOOL: I was out the door at 4.45 for my 5-mile run. It’s the last day of the month, so the last run of the month, and I ended up at a little over 128 miles. That was the highest volume month for me since March and training for Boston. I got home, showered, and downloaded the new Skyzoo & Apollo Brown album to my phone - I preordered the vinyl and it’s in the mail, but I wanted it for the commute this morning. Skyzoo is one of the best lyricists out there today - I could write an entire blog post just on the nostalgia his “Stretch and Bobbito” track made me feel. Stopped at Cumberland Farms for a couple of their apple cider donuts, and came in early to give students an extra help session before today’s assessments. 7:00am - My classroom looks pretty good. I was out yesterday to attend the kick-off meeting of the Massachusetts Department of Elementary and Secondary Education’s Teacher Advisory Cabinet, of which I am a member for the second year. Being a member of that group has been the single most transformative experience of my professional career, and I am lucky to have such supportive administration to allow me to be a part of it. My substitute teacher was a retired math teacher - the teacher whose retirement 11 years ago opened up the spot for me to be hired. It feels so much better to leave kids with a sub who can help them with the work you leave behind. 7.10am - the normal group of 7th grade girls comes in to practice for today’s quiz on the adding and subtracting positive and negative integers and rational numbers. They ask questions, practice some problems, and leave feeling more confident. I prefer morning help to after-school help, because the students are far more engaged in it before the wear and tear of a school day. I have an open door policy - I’m here every morning, so just come in. Even if you aren’t a student in my class. Some former 7th graders who are on the other 8th grade team still come in regularly, and it’s great to reconnect and be able to work with them in a way with which they are comfortable and familiar. 9.00am - Our team met to discuss students and concerns, as well as plan some upcoming curriculum scheduling. This is a new team for 2016-17, with four members teaching 7th and 8th grade (the ELA and SS teachers are teaching 8th grade for the first time), and we are starting to hit our stride. Even though I still love my job and approach it with enthusiasm every day, the two new teachers are young, energetic, and provide even more inspiration for me to raise my game. 10.00am - My inclusion 7th grade math class took their end of Unit 1 assessment. While there is still some definite opportunities for growth, the students worked hard and had some reasonable success upon first look. One of the things that has been very positive this year is the new assistant from our program for students with autism. There are two of those students in this class, and she works closely with them every day. She is young, and at the beginning stages of her career, but I can already sense that she will be excellent for students. I just hope she stays at our school so we can reap the benefits. 11.15am - My only real prep period of the day. I know I should spend it correcting the two days of homework that built up, get a jump start on the first two periods of quizzes to correct - but, nope. I went and talked fantasy football with my librarian, visited the office assistant with whom I’m good friends, and had a snack. I admire teachers who get as much accomplished in a Friday prep as they do on Tuesday. I have always struggled with that. 11.45am - My 8th grade portion of the day begins, and they also have a mini-assessment. This deals with transformations in a coordinate plane. Rotations are the hardest for them to conceive, but I feel pretty good going into it. They’re working hard, and I don’t feel like more than one or two of them are completely unprepared as I walk around the room and look at the progress. I did have one question that needed to be clarified multiple times, so I will have to edit it for next year. 2.30pm - Time to hit the road for the day, and for the weekend. Another week where there were a lot of good things going on, some instances to reflect on, and a foundation to build upon next week. 9pm - So, there is a GIGANTIC gap in the day because my laptop and the Windows 10 update do not seem to like each other. I was therefore unable to work on the data spreadsheet assignment I have, and instead caught up on the final two episodes of Mr. Robot. That counts as computer work, right? I’ll hit the sack soon, up early to get in 7 miles and then my wife and I are heading up to York Beach, Maine for what will be the last free Saturday for either of us until Thanksgiving. I’m already salivating over this sandwich that I get up there - a BLT with watermelon instead of tomato. Really, try it out sometime. 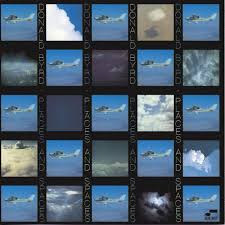 The second record that adorns the back wall of my classroom is Donald Byrd’s “Places and Spaces”, a Blue Note jazz record from 1975 which provided samples for 90s hip hop songs from Pete Rock & CL Smooth and Black Moon, among others. The title track is an absolute chillout classic, and that’s why the record is on the wall - to remind me (and students) to stay relaxed. We put too much pressure on small situations sometimes, and it’s not good for us, or for the students. I tell the students all the time, I’m a math teacher and couldn’t tell you what my middle school math grades were. I just remember what I learned, and how to use it. Kudos to you for getting in the exercise! I gather you're a morning person, whereas I am not. It is good when you get in a sub that you know, that removes some of the guesswork. Great that you have an assistant for helping with the autistic students too. As to the prep period, hey, we all have those days when we need a break! I wouldn't know about Windows though, since I work on a Mac. ;) Enjoy your music.